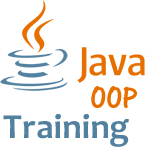 This course provides essential knowledge and skills on object oriented programming in Java. Delegates will learn how to create and use classes, interfaces, methods, parameters and arguments, objects, encapsulation, inheritance, polymorphism, abstraction, collections (ArrayList & Vectors). This course requires knowledge of basic Java syntax, variables, control structures, primitive data types and main method. Our Programming With Java Training Course covers all of the prerequisites.